Courtesy of REALTY HOME PARTNERS LLC. 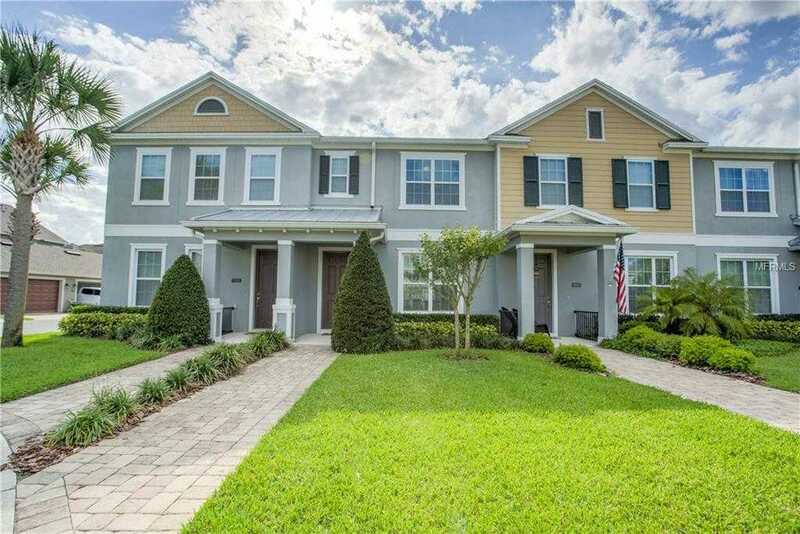 3 bedroom, 2 1/2 bath, Townhome located in Ashlin Park, a well-situated community of Windermere. The Townhome fronts an open courtyard with green-space and no major roads. Additionally, the Townhome features high ceilings and an expansive kitchen with solid granite surface countertops. The Townhome boats exceptional natural lighting and offers gorgeous tile flooring throughout the downstairs. The spacious master bedroom suite features a large master bath with a double vanity and clear glass walk-in shower. Downstairs laundry room with a washer and dryer! The back patio is enclosed and privately fenced with a cement pad bordered by green space for flower beds and/or gardening – perfect for relaxation, grilling, pets and entertaining! The Townhome includes a Two-Car Garage. HOA amenities include: outside yard care, roof, and pest control. The Townhome’s location enjoys close proximity to nearby shops and restaurants, walking and bike trails, parks and lakes, tibet-butler nature preserve, playgrounds, and a community pool w/ clubhouse. Please, send me more information on this property: MLS# O5777135 – $290,000 – 7135 Thicket Branch Aly, Windermere, FL 34786. I would like to schedule a private showing for this property: MLS# O5777135 – $290,000 – 7135 Thicket Branch Aly, Windermere, FL 34786.